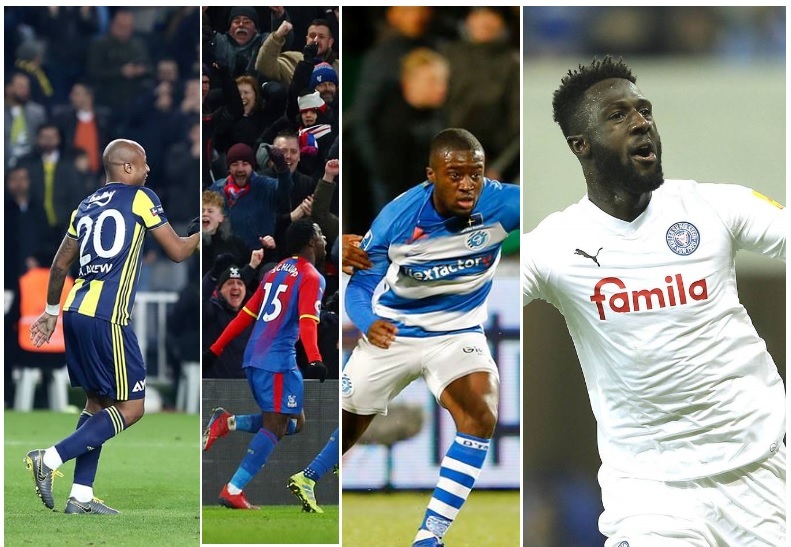 Andre Ayew scored for Fenerbahce in the Turkish top-flight while Jeffrey Schlupp netted for Leicester City with Leeroy Owusu scoring an artful free-kick. There were goals for Bernard Tekpetey, Kingsley Schindler, Eugene Ansah, Maxwell Boadu Acosty, Abdul-Aziz Yakubu and Richard Gadze all scored for their clubs abroad over the weekend. Christian Atsu continued his impressive run while Majeed Waris and Daniel Kofi Kyereh all impressed for their sides abroad. Ghana Sports Online’s El Akyereko has a comprehensive wrap of how Ghanaian players fared abroad over the weekend. Attacker Christian Atsu played 82 minutes for Newcastle United in their 1-0 away loss to Tottenham Hotspur in the Premier League on Saturday. English-born could-be Ghanaian Callum Hudson-Odoi replaced Eden Hazard in the 77th minute of their 5-0 hammering of Huddersfield at the Stamford Bridge. Gonzalo Higuain scored twice for the Blues. Jeffrey Schlupp scored for Crystal Palace in their 2-0 win over Fulham. Jordan Ayew also started the game for Palace. Belgian-born Ghanaian Denis Odoi was in action for 90 minutes for the Cottagers while Dutch international of Ghanaian descent Timothy Fosu-Mensah came off the bench to play the last 28 minutes for the losers. English-born Ghanaian Edward Nketiah warmed the Arsenal bench in their 3-1 loss to Manchester City on Sunday evening. Injured defender Daniel Amartey watched Leicester City’s 1-0 loss to Manchester United from the stands at the King Power Stadium. In the Championship, Martin O’Neil left out Ghanaian Arvin Appiah from his Nottingham Forest squad for their 2-0 loss to Birmingham City. German-born Ghanaian Collin Quarner lasted 55 minutes for Ipswich Town in their 1-0 home loss to Sheffield Wed.
Andy Kyere Yiadom played 90 minutes for Reading in their 0-0 draw with Aston Villa on Saturday. Ghanaian winger Albert Adomah also started for Villa. Norway international of Ghanaian descent Alexander Tettey returned from injury to play the last 6 minutes for Norwich City in their 3-1 away win over Leeds United. In the League One, Coventry City and Gillingham shared the spoils in a 1-1 drawn game. Former Arsenal youth team goalkeeper Corey Addai warmed the bench for City. Tariqe Fosu came off the Charlton Athletic bench to play in their 1-0 away loss to Fleetwood. Abu Ogogo walked straight into Bristol Rovers’ team and played 90 minutes in midfield in their 2-1 away win over Southend. Striker Kwesi Appiah lasted 90 minutes for Wimbledon in their 1-0 away loss to Sunderland. Meanwhile neither Enoch Ebo Andoh nor Koby Arthur made the Macclesfield Town squad for their 3-1 defeat at Mansfield. In the U18 Premier League, Harold Essien warmed the Middlesbrough U18 bench as they battered Manchester United U18 3-0 on Saturday at the Trafford Training Centre at Carrington in Greater Manchester. Dutch-born Ghanaian lateral defender Leeroy Owusu scored an artful free-kick for De Graafschap as they posted a 3-0 win over NAC Breda in the Eredivisie on Friday. Anderlecht loanee Dauda Mohammed did not make the Vitesse Arnhem squad for their 2-2 draw with Heerenveen. ADO Den Haag claimed a 2-0 win over Heracles Almelo on Sunday. Robin Polley was dropped from the first team squad for the game. Cody Gakpo came off the bench to score for PSV Eindhoven in their 5-0 win over Fortuna Sittard. Dutch-born Ghanaian Johnathan Opoku Agyemang did not make the trip with VVV-Venlo in their 6-0 heavy defeat to giants Ajax. Young attacker Myron Boadu missed AZ Alkmaar’s 5-0 whitewashing of FC Emmen on Saturday due to injury. In the second-tier league, prodigious Ghanaian youth attacker Brian Brobbey Griffins did not make the Jong Ajax squad for their 3-3 drawn game with Dordrecht on Friday. Dutch-born Ghanaian attacker Rodney Antwi came off the bench to score and set up the equaliser for FC Volendam in their 2-2 draw with Sparta Rotterdam. Kumasi-born former Portugal youth international Asumah Ankra warmed the bench for Maastricht in their 2-0 home win over Telstar. Ex-Ajax Amsterdam defender Terry Lartey Sanniez played in lateral defence for Nijmegen when they hammered Jong Utrecht 4-1 on Friday. Attacker Kevin Luckassen climbed off the bench to play in attack for Almere City in their 2-1 away win over 10-man Roda JC. Former Newcastle United player Frank Wiafe Danquah played 90 minutes for Lienden when they lost 2-0 against hosts De Treffers. Atletico Madrid suffered a 1-0 loss against Real Betis on Sunday evening. Ghanaian Thomas Partey played 90 minutes for Diego Simeone’s side. Kevin-Prince Boateng watched from the Barcelona bench in their 2-2 drawn game with Valencia on Saturday. Real Madrid continued their resurgence with a 3-0 hammering of Alaves on Sunday with Karim Benzema, Vinicius Jnr and Mariano Diaz scored the goals. 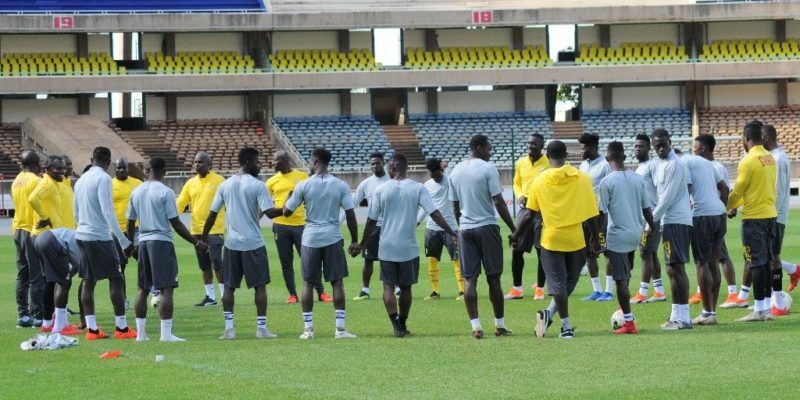 Ghana midfielder Wakaso Mubarak played 90 minutes for the losers but Patrick Twumasi was left out of their squad for the game. Kumasi-born Mohammed Salisu Karim did not make the Real Valladolid squad for their 4-0 loss at Huesca in the La Liga at the Estadio El Alcoraz. Striker Raphael Dwamena played only 12 minutes for Levante in their 0-0 draw with Getafe on Saturday. His Ghanaian compatriot Emmanuel Boateng was out of the host’s squad for the game. Ghana-target Inaki Williams led the attack and played full throttle for Athletic Bilbao in their 2-1 away loss to Real Sociedad. In the Segunda Division, Ghana U23 skipper Yaw Yeboah played 59 minutes for Numancia in their 3-0 win over Lugo on Saturday. Midfielder Baba Mohammed starred in midfield for Real Mallorca in their 2-0 home win over Alcorcon with 10 men. Isaac Cofie was axed from the Sporting Gijon side for their 3-0 away win over Extremadura UD. Sulley Ali Muntari did not make the Albacete squad for their 3-1 away win over Cordoba. Ghana U23 striker Kwabena Owusu played for Salamanca UDS in their 1-0 away win over Union Adarve. Midfielder Kwame Yeboah played 90 minutes for WS Wanderers when Newcastle Jets hammered them 5-1 in the A-League on Friday. Defender Baba Rahman was not part of the Stade de Reims side that won 2-1 against visiting Marseille in the Ligue 1 on Saturday. Meanwhile in the Ligue 2, attacker Ebenezer Assifuah was booked in the 17th minute and was replaced on the 49th minute mark by Le Havre in their 1-1 draw with visiting Brest at the Stade Océane. Zambian Stoppila Sunzu scored a 40th minute opener for Metz who failed to extend their lead at the summit of the table after drawing 1-1 at their Stade Municipal Saint-Symphorien with visiting Troyes on Friday. Black Stars defender John Boye lasted 90 minutes for the leaders. Both Elisha Owusu and goalkeeper Lawrence Ati-Zigi were in action for Sochaux in their 2-1 home win over Clermont Foot. Owusu is on loan from giants Olympique Lyon. 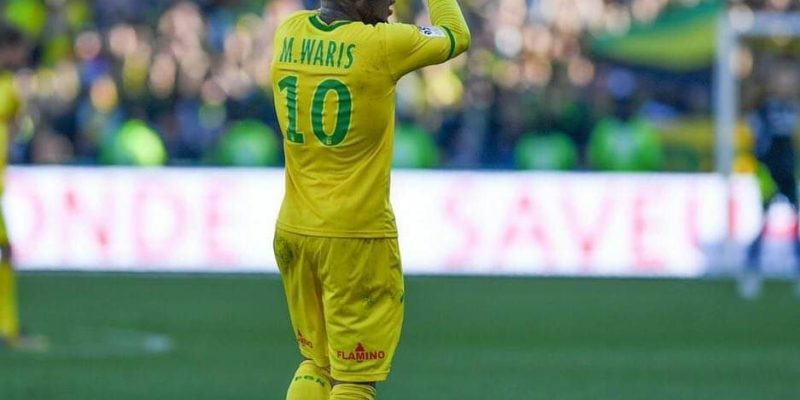 Both Abdul Majeed Waris and Enock Kwateng played for Nantes in their 1-0 away win over Sannois in the Coupe de France on Saturday. German international of Ghanaian descent Jerome Boateng warmed the bench for Bayern Munich in their 3-1 away loss to Bayer Leverkusen. Austrian international of Ghanaian descent Kevin Danso played in central defence for Augsburg in their 3-0 home win over Mainz 05. Swedish international of Ghanaian descent Robin Quaison played for Mainz but youngster Issah Abass didn’t make the squad. Germany-born Ghanaian John Yeboah Zamora was on the Wolfsburg bench for their 1-0 away win over Hertha Berlin. Dutch-born Ghana-target Derrick Luckassen watched the game from the stands due to injury. Injured Kasim Adams Nuhu was in the stands as he watched his TSG Hoffenheim side drew 1-1 with visiting Dusseldorf at the Rhein-Nicker Arena. In the Bundesliga II, American-born Joseph Claude-Gyau warmed the bench for Duisburg in their 3-2 win over Darmstadt on Friday. Kingsley Schindler scored the opener for Holstein Kiel in their 2-0 home win over Regensburg. Promising Ghanaian midfielder Aaron Opoku warmed the bench for Hamburg SV in their 2-0 loss to Arminia Bielefeld on Saturday. Broni Kwarteng did not make the Hamburg squad for the game. Diminutive Ghanaian midfielder Manfred Osei-Kwadwo was unused by Ingolstadt in their 1-0 home loss to Magdeburg on Friday. Ghanaian Bernard Tekpetey scored for Paderborn in their 6-0 hammering of Greuther Furth on Saturday. Ghanaian Chris Antwi-Adjei was unused by the winners while David Atanga watched the match from the Greuther Furth bench. Bernard Kyere played in a 3-man defence for Fortuna Koln in their 3-1 away loss to Karlsruher. Forward Prince Owusu came off the bench to play for Munich 1860 in their 2-1 home loss to VfL Osnabruck. Both Daniel Kofi Kyereh and Agyemang Diawusie played 90 minutes for Wehen and helped them to a 2-0 win over visiting Hansa Rostock on Sunday. Defender Jans Gyamerah played at lateral defence for 10-man Bochum in their 3-0 away loss to Sandhausen. Philemon Ofosu-Ayeh warmed the Wurzburger Kickers bench in their 2-1 win over Aalen. In the U19 Bundesliga, defender Daniel Owusu played 90 minutes for Hamburg U19 in their 2-1 loss at St Pauli U19. Charles Hermann played 90 minutes for Wolfsburg U19 in their 2-0 win over RB Leipzig U19. Midfielder Afriyie Acquah warmed the bench for Empoli in their 2-2 draw with Chievo Verona on Saturday. Kwadwo Asamoah was unused by Inter Milan in their 1-0 home loss to Bologna on Sunday. Midfielder Godfred Donsah also did not play for the winners. Sassuolo held Genoa to a 1-1 drawn game on Sunday. Ghanaian midfielder Joseph Alfred Duncan played 90 minutes for Sassuolo but youngster Claud Adjapong was unused. Udinese and Fiorentina shared the spoils in a 1-1 drawn game at the Estadio Communale Fruili. Defender Nicholas Opoku warmed the Little Zebras bench while Emmanuel Agyeman Badu watched from the stands. Defender Bright Addae did not start for Ascoli in their game with Lecce which was abandoned due to a serious head injury to Manuel Scavone. Ghanaian Emmanuel Gyasi came off the bench to play the last 15 minutes for Spezia in their 2-0 win over Cremonese on Saturday. Moses Odjer was asked from the Salernitana squad for their 0-0 draw with Padova. Benevento posted a 3-0 win over Venezia on Sunday. Prince Emmanuel Besea was in action for 75 minutes for the losers while Bright Gyamfi was introduced by the winners in the second-half. Ransford Selasi came off the bench to play for Fano in their 1-1 draw with Gubbio. David Mensah played 59 minutes for Triestina in their 4-3 away win over Virtus Verona. Duo Amidu Salifu and Napoli loanee Abdul Basit were in the Arezzo team that split points in a 3-3 drawn game with Siena. Shaka Mawuli Eklu was on the Catanzaro bench in their 4-3 away win over former Serie A campaigners Reggina. Ghana No.1 Richard Ofori manned the post for Maritzburg United who are facing relegation from the Premier League following a 1-0 loss to leaders Bidvest Wits on Friday. Andre Ayew scored the opening goal for Fenerbahce in their 2-0 win over visiting Goztepe at the Şükrü Saracoğlu Stadium. Andre was replaced by Nigerian Victor Moses who scored the second goal of the game. Ghana lateral defender Lumor Agbenyenu was in action for 90 minutes for the losers. Neither Asamoah Gyan nor Bernard Mensah was part of the Kayserispor team that drew 1-1 with Yeni Malatyaspor. On loan Leeds United attacker Caleb Ekuban played 90 minutes for Trabzonspor in their 1-0 win over Ankaragucu. Attacker Elvis Manu was in action for Akhisarspor when Istanbul posted a 3-0 win over them. Ghanaian defender Joseph Attamah watched the entire game from the bench. In the second-tier league, attacker Mahatma Otoo was not part of the Balikesirspor in their 1-0 away defeat to Osmanlispor. Former Ghana U17 midfielder Kamal Issah played 68 minutes for Eskişehirspor when they beat leaders Gençlerbirliği 3-2. Neither Joseph Akomadi nor Stephen Arthur made the Hatayspor squad for their 1-1 drawn game with Denizlispor on Sunday. Horoya Club de Guinea beat Platinum Stars of Zimbabwe 1-0 at their own backyard in the CAF Champions League on Saturday. Duo Hudu Yakubu and Godfred Asante played in defence while Sebe Baffour and Mandela Ocansey were in midfield and attack respectively. Brefo Mensah and Patrick Razak were unused by the winners. Kwasi Asante and Nicholas Gyan both played for Simba Club of Tanzania who were mauled 5-0 by Egyptian powerhouse Al Ahly. TP Mazembe made mockery of Tunisian side Club Africain by dismantling them 8-0 on Saturday. Ghanaian Derrick Sasraku came off the bench to play for the losers while Prince Nana Kwasi Damang did not make the Mazembe squad for the game. Ghanaian forward William Owusu Acheampong played a center-forward for FC Antwerp in their 2-0 away win over KV Oostende. Daniel Opare Tawiah was unused by the winners. Midfielder Bennard Kumordzi watched from the bench as his Kortrijk side recorded a 2-1 home win over Lokeren. Joseph Aidoo and Joseph Paintsil both helped Genk to fight back to beat Waasland-Beveren 2-1. Ghana winger Nana Opoku Ampomah played in attack for the losers. Ten-man Gent managed to hold Club Brugge to a 1-1 drawn game on Sunday. Nana Kwasi Asare captained Gent and lasted the entire duration of the game. Dennis Appiah was left out of the Anderlecht team as they suffered a 2-1 loss to Standard Liege. But, Belgian-born Ghanaian Francis Amuzu watched the entire action from their bench. Duo Elton Acolatse and Samuel Asamoah both started and assisted goals for St Truiden in their 4-1 hammering of KAS Eupen. Injured Eric Ocansey did not travel with the Eupen squad while Abdmanaf Nurudeen is with the Ghana U20 squad in Niger. Divine Naah and Ernest Agyiri both played for Tubize in their shocking 1-0 home loss to Beerschot Wilrijk. Midfielder Obeng Regan was in action for 90 minutes for Istra in their 1-1 draw with Slaven Belupo. Maxwell Boadu Acosty scored the opener for Rijeka when they suffered a 3-1 home defeat to visiting Gorica. Ghanaian Yussif Ramzy didn’t make the Gorica squad for the game. In the Super League, midfielder Mark Asigba was on the Lamia bench for their 2-0 home loss to Panetolikos. German-born Ghanaian Reagy Ofosu was in action for 90 minutes for Haladas in their 1-0 home loss to Kisvarda in the top-flight. Sunyani-born Abraham Kwasi Frimpong warmed the bench for Ferencvaros in their 1-0 win over 10-man Honved. Ghanaian forward Eugene Ansah scored a 69th minute equaliser for Hapoel Raanana in their 1-1 drawn game at Maccabi Pekta Tikva. Gabriel Mensah played for Pieta Hotspurs in their 2-0 home loss to Pieta Hotspurs. Ghanaian midfielder Clifford Aboagye was in action for 90 minutes for Atlas in their 2-1 away win over Monarcas. Al Qadisiya won 2-0 against visiting Al Feiha. Ghanaian midfielder Fatau Mohammed played for the winners as well as Seidu Yahaya for the losers. German-born Lenny Sowah warmed the Hamilton bench in their 1-1 draw with Dundee FC on Saturday in the Premiership. Hibernian suffered a 2-1 home loss to Aberdeen. Ghanaian winger Thomas Agyepong missed the game with injury. In the second-tier league, Falkirk posted a 3-0 win over Queen of the South. Abdul Osman played for the winners but Prince Buaben Abankwa did not make their squad for the game. Swiss-born defender Gregory Kwesi Wuthrich came off the Young Boys bench to play in their 2-0 home win over Xamax. Rio Ave and Tondela shared the spoils in a 2-2 drawn game. 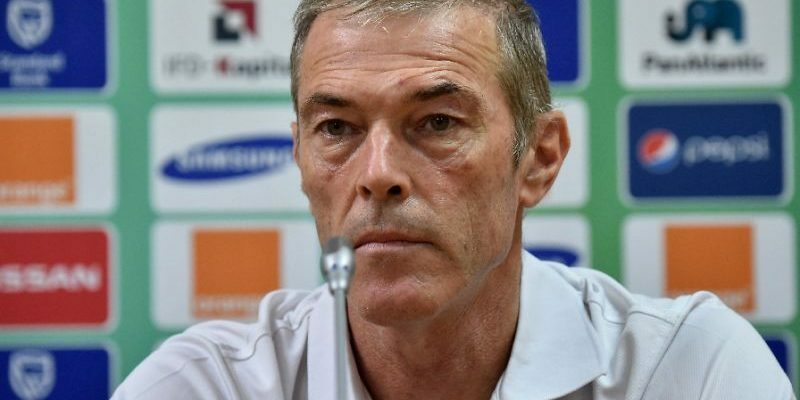 Ghana-target Said Ahmed Said was left out of the Rio squad for the game. Both Alhassan Wakaso and Joseph Amoah were in action for Vitoria Guimaraes in their 0-0 draw with giants FC Porto on Sunday. Injured Henry Mendarious watched the game from the stands. Former Liberty Professionals defender Emmanuel Hackman was introduced in the 59th minute by Portimonense when Santa Clara beat them 2-1. Ghanaian youngster Abdul-Aziz Yakubu scored the equaliser for Guimaraes B in their 1-1 draw with Academica de Coimbra. Striker Kwame Nsor was not in the Académico Viseu team that suffered a 2-0 loss to Arouca in an away clash. Yaw Moses did not make the Arouca squad for the game. Leixões claimed a 2-0 win over Estoril. Ghanaian defender Lawrence Ofori did not make the Estoril squad for the game. Former Atletico Madrid B player Benjamin Akoto Asamoah was booked and played 90 minutes for Doxa who drew 1-1 with Nea Salamis in the Division One on Sunday. Winger Joseph Mensah was axed from the Sepsi team that suffered a 4-2 loss at Voluntari on Sunday in the top-tier league. Richard Gadze scored one of the goals for the winners. Former Inter Milan defender Isaac Donkor was booked in the 5th minute and played 90 minutes for U Craiova 1948 CS when they drew 0-0 with Viitorul Constanta.